Studio Dumbar is one of my favorite Dutch design studios, so I was very excited to get the chance to visit Rotterdam and meet the designers. Studio Dumbar is a very iconic Dutch studio, which is all the more intriguing given its history and involvement in projects which have shaped Dutch society since the 1970’s. The studio has had an intrinsic role not only in the way that the Netherlands sees itself, but also in the way that it is perceived by others. Indeed, the studio is responsible for the design of the Dutch police, the former Dutch post, the Dutch trains, logos for the government, for Dutch municipalities (Leerdam, Maastricht, Rotterdam, Delft), Dutch Universities, along with countless cultural institutions. There is an informal atmosphere at Studio Dumbar, everybody is working very hard but there is time for jokes and table football at the end of the day! Studio Dumbar has an international vibe, the designers come from all over the world, Liza comes from Greece, Kek Feng comes from Malaysia, Quia from Hong Kong, Suzon from France, Vincent from Belgium. 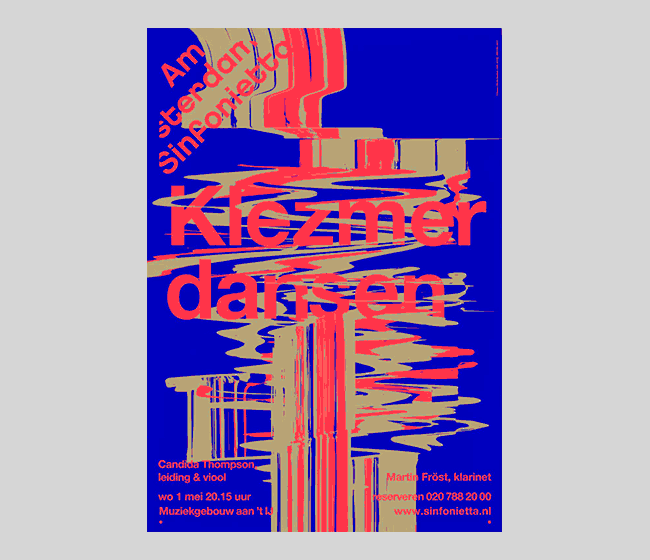 The diversity of designers you can find here reflects Studio Dumbar’s wide ranging projects which span from highly corporate design for companies such Shell or Nike, to charities like Alzheimer Nederland, to cultural institutions like Amsterdam Sinfonietta. 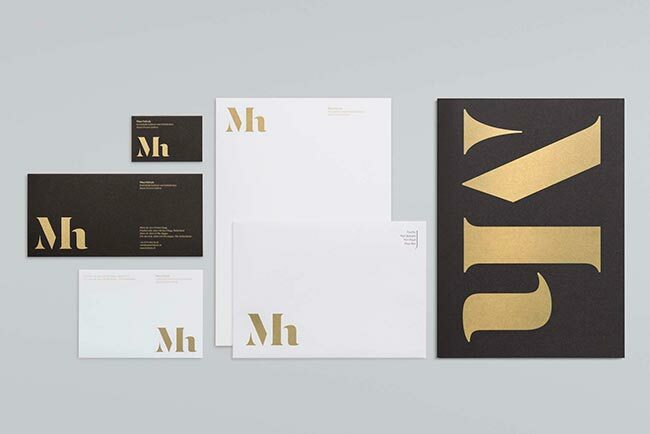 What do you think makes Studio Dumbar different to other agencies? Liza: The kind of work we do is always a mixture between corporate and cultural work and it’s important to have that mixture and not to focus on either one or the other, because one influences the other. The way we select the team is also important I think that giving a lot of responsibility and creative freedom to the designers also means that you have very diverse work. The designers that work here have their own points of view, their way of working. There isn’t a specific style that you can identify as the Studio Dumbar style, it changes over time, influenced by the designers that work here. For me, one of the things that makes Studio Dumbar work quite recognisable is the use of colour, often surprising, and contrasting. How do you go about working with colour? Liza: It’s funny you say that, because if everything could be black and white I would be really happy! The designers like to experiment with colour, but it also depends on the project. We pick colour for a reason not just because we like our work to be colourful. 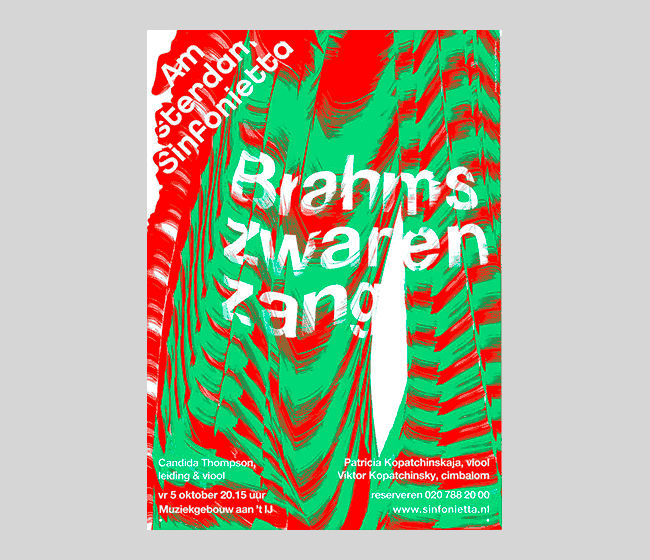 If you take the Amsterdam Sinfonietta posters, the work has to reflect the concert or musical piece. Then again, if I look at the posters not all of them are in full colour. 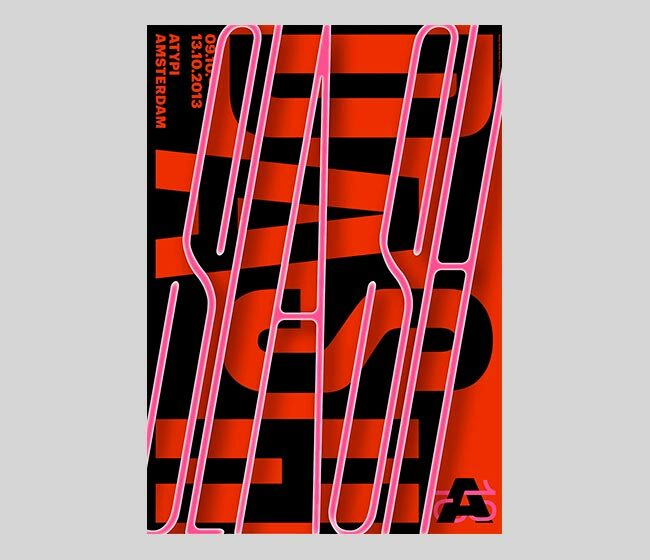 Me: When I see these kind of posters (Amsterdam Sinfonietta) I know immediately it’s a Studio Dumbar piece because the colour are so strong, they almost slap you in the face! Liza: Yeah it is like that! A lot of people ask this question and I don’t really know. It just happens that we use a lot of colour, and I don’t know why! Maybe it’s do to with the weather, because its grey and rainy and we want colour! Who knows! Is it difficult to find new ideas for Amsterdam Sinfonietta every time? What inspires your posters, the rhythm of the music? Liza: Starting a new series every year is is not easy. The basic identity is there, the logo, the information, the typography is always Helvetica, the approach is always illustration, or if we use photography it’s a mix of illustration and photography. Of course, with every new concert we get new inspiration. I think if it was one designer designing these posters for 10 years the task could be even harder. But then again they don’t repeat concerts so that is also helpful. We always try to find the best of that designer, for example one series is designed by Eric and it’s very structured, where as with Kek Feng it’s a lot more atmospheric. We look to find what the designer is best at and then enhance that. The first one in the series is always the hardest. Does Gert Dumbar’s style or approach lives on in your current projects even though he’s not working here anymore? Liza: Yes I think so, Studio Dumbar is almost 40 years old and he’s was part of the studio for 25-30, so the mentality or the set-up is very much present. The ideology behind the studio is very much present. Me: What is your favourite project out of the Studio Dumbar classics ? Like the Dutch trains, the post, the police etc. Liza: The police. 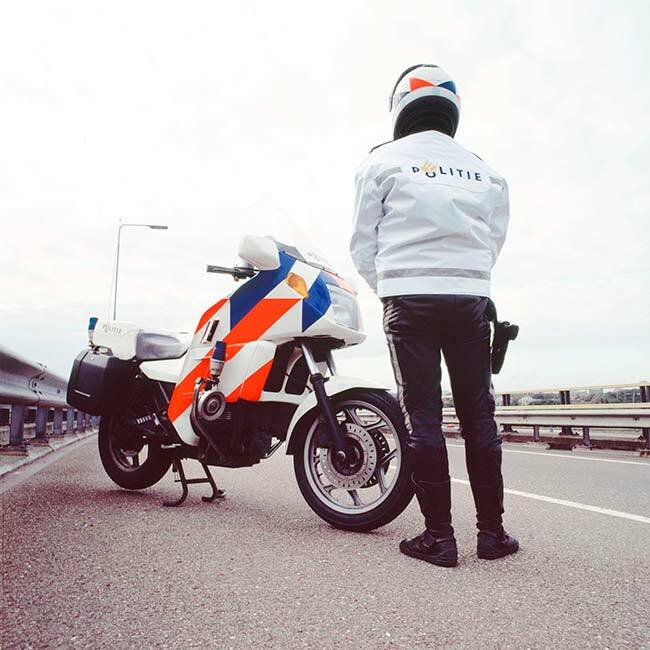 I still have not seen another police force that I look at and think, wow, this is much stronger, or that can do something different for me than the Dutch police. I think the Dutch police is definitely a milestone. I saw that you have a studio in Seoul in Korea, what do you think of the South Korean design scene? Liza: We actually have a liaison office, Simon Park and his team represents our work. The work is designed here. I think that South Korea is definitely an interesting place, they’re very sophisticated in their graphic language. It’s different from Dutch design, but there a lot to learn from. Me: Is it difficult to choose typography for Korean characters ? Liza: It’s not so easy, but in that case we work with our partners over there. We pick a latin typeface for example and they find a match. How do you deal with difficult or indecisive clients? Liza: You have to guide the process, we also work with project managers and they help guide the process and help the client come to a decision. Indecisive is a lot easier than difficult I think. Indecisive is maybe because they’re not happy with the result yet, so it’s also by asking questions. Clients can be difficult, or we can be difficult, it depends. It’s about trying to understand what it is that makes them difficult. There are some clients that we understand are difficult but we can deal with it. Not to excuse it, but if you know why, “maybe they have too much deadline pressure, if we know the reasons then we can deal with it a lot better or help them. What upcoming studios or designers should we look out for this year? 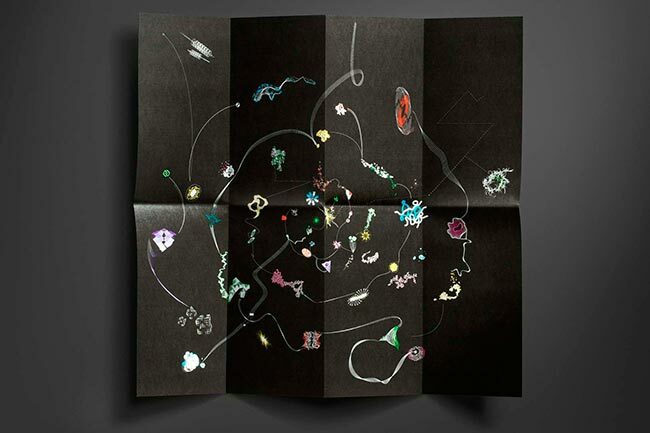 Liza: There’s a Swiss poster designers, Felix Pfaffli, he’s a poster designers and he’s 28, extremely talented guy. There’s two people that used to work here that have there own studio now, Kok Pistolet. I think they do very very interesting work, I don’t know how many people know them outside of the Netherlands. I am very intrigued by the work they do, they keep to their philosophy and approach, so yeah, pay attention to them ! How can young designers get noticed, and stand out from other designers? Liza: By working hard , and focusing on that ! Me: Ok old school advice! Liza: And as long as you enjoy what you are doing you will do great! Me: And designers have to compete with cats as well. Liza: If you can compete with a cat then I think you’ve made it! What does Studio Dumbar look for in a graphic designer? Liza: We look for somebody with their own voice. Somebody that has a particular own way or thinking. It doesn’t have to be extremely developed, you know, you’re just starting, you’re not finished, but definitely having your own point of view and a perspective. Also open to other ideas. What else is important is that you need to be a team player. So it’s a little bit difficult because on one side you need to keep to to your own belief, but then also also play in a team. Like in a football team, everybody plays their part, and you know what everybody is good at, but you are still a team.